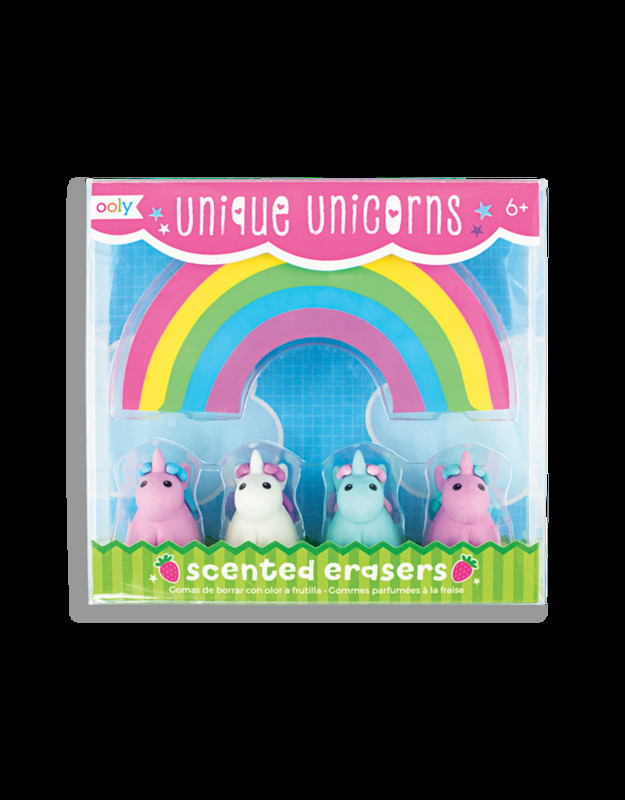 Erasers don't have to be boring. 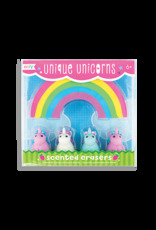 This strawberry scented eraser set consists of 4 colorful unicorns and one large rainbow eraser! They smell great and work well.